In the Africa Wealth Report of 2018, Egypt is measured as having the second-highest gross wealth on the continent. Under “total wealth held”, the large country records a total of US$330 billion by the end of 2017, a number only surpassed by South Africa, which, although it has roughly half of Egypt’s population, tops the list with $722 billion. Egypt is then followed by Nigeria ($253 billion), Morocco ($122 billion), Kenya ($104 billion) and Angola ($81 billion). The report explains that total wealth “refers to the private wealth held by all the individuals living in each country. It includes all their assets (property, cash, equities, business interests) less any liabilities,” adding that with this methodology, countries with larger populations are expected to rank highly. It can be noted that six of the world’s richest billionaires are Egyptians, whose combined wealth is valued at $18.2 billion. These are Nassif Sawiris, Naguib Sawiris, Mohamed Mansour, Yassin Mansour, Mohamed Al Fayed and Youssef Mansour. However, the report also specifies that government funds are excluded from this list. In the similar total wealth ranking for cities, Cairo ranks third, coming after Johannesburg and Cape Town, which contain roughly 1/9 and 1/20 of Cairo’s population, respectively. Cairo’s total wealth stands at $140 billion, compared to $276 billion for Johannesburg and $155 billion for Cape Town. The Africa Wealth Report compares states across the continent according to several aspects, including total wealth rankings , wealth per capita rankings, wealth growth trends, and 10-year growth forecasts (2017 to 2027). The report also takes into the account the prevalence of luxury brands in each country. Although Egypt ranked highly on the total wealth list, it did not perform as well on wealth per capita, which divides total wealth by the number of people, to estimate the average wealth of the country’s residents. The report places Egypt’s wealth per capita in sixth with $3900, following Mauritius ($32,700), South Africa ($12,900), Namibia ($12,600), Botswana ($7,900) and Angola ($3,900). Some argue that this can be explained by how Egypt’s rigorous economic reform program lowered its Purchasing Power Parity (PPP), which worsened the economic and social conditions of the poor. According to a report by the World Bank in April 2018, rural Egypt now has three times the poverty rates of Metropolitan Egypt. However, the report also suggests that social programs by the Ministry of Social Solidarity have helped to reduce the effects of inflation. The report goes on to rank Egypt 17th on “wealth growth trends”, which measures the rise in each country’s total wealth between 2007 and 2017. The report explains that the total wealth of Africa has risen by 13 percent from 2007 to 2017, and by 3 percent from 2017 till 2018. From 2007-2017, Mauratius witnessed the highest growth rate of 195 percent, followed by Ethiopia (190 percent), Rwanda (74 percent), Kenya (73 percent) and Tanzania (66 percent). Meanwhile, Egypt witnessed a negative growth rate, of -10 percent. The country witnessed a slight improvement in growth in 2017, which evened the rate out at zero percent. It also projects Egypt’s growth rate to improve in the future, reaching between 10 and 30 percent between 2017 and 2027. Finally, Egypt ranked highly on the prevalence of luxury clothes and accessory brands. Egypt, Algeria, South Africa and Morocco were the only four countries in Africa to make this list. Egypt boasted such brands as Zegna, Burberry and Salvatore Ferragamo. The country also ranked highly on the prevalence of luxury cars, largely Porsche vehicles, along with Kenya, Nigeria, Angola and Mauratius. 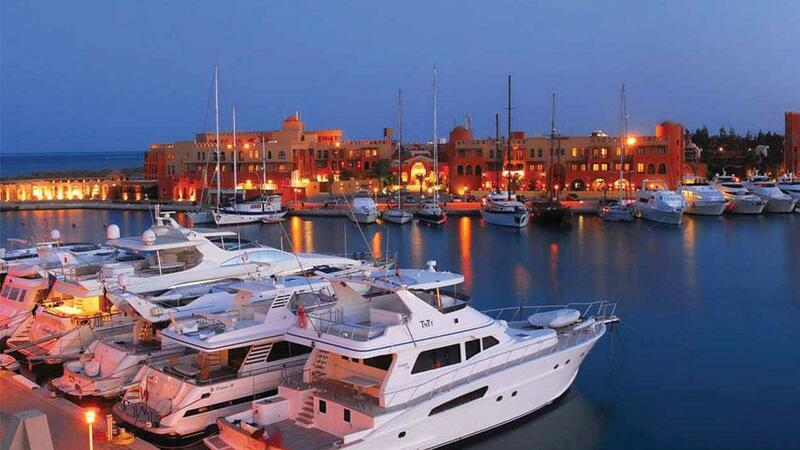 Cairo and Sharm Al-Shiekh also ranked highly among luxury destinations in Africa. This comes as no surprise, as Egypt has been boosting efforts to improve its tourism, including such celebrities as Usher, Alicia Keys, Nicolas Cage and Hillary Swank visit the country.